Here go one for uall early 90s hip hop heads. I was introduced to the Diggin' In The Crates crew through Big L. The Harlem emcee was ahead of his time and would have played an immeasurable role in the current hip hop landscape. The D.I.T.C. collective of producers and emcees came together in 1990 with members: Big L, Lord Finesse, Diamond D, O.C., Fat Joe, Buckwild, Showbiz and A.G.
With ups and downs over the past 16 years, the remaining members (Big L was killed in a drive by shooting in '99) will finally come together to release the album Sessions later this month. 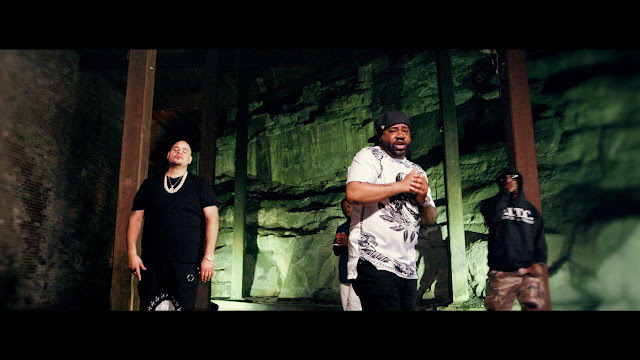 The single "Rock Shyt" features Fat Joe, Lord Finesse and Diamond D. The guitar and drum heavy sample calls back to the grimy New York block parties where emcees would master the crowds. With braggadocio bars and metaphors, the trio of spitters bless the track and make you yearn for that golden era rap. Peep the video for "Rock Shyt" below, and keep an eye out for Sessions dropping October 28th. 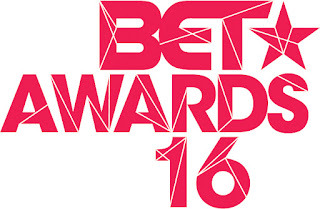 It's crazy to think that a whole year has come and gone since the last BET Awards. And yet again, I did not have it on my radar. That is until the flood of cyphers hit the net like clockwork after the show. 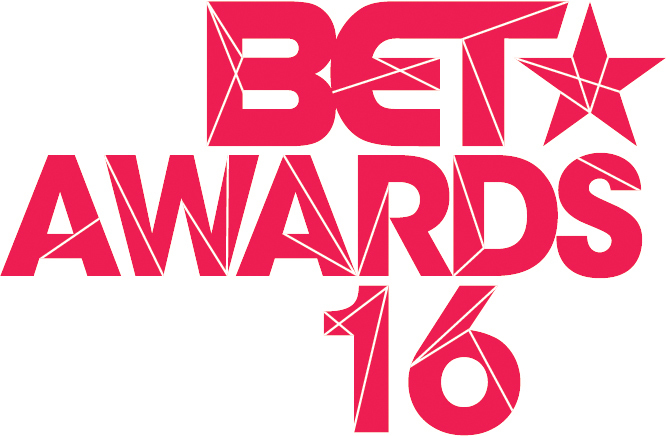 I normally just view the ones I assume I'll like, but this year I decided to watch all 8 (including the Lil Wayne vs Chocolate Droppa, aka Kevin Hart, battle). And to switch the format a bit, I will give specific reviews for my top 3 cypher that I choose to share, because some were...damn (stank face). This is my first time hearing about or hearing Oswin Benjamin, but this cat is def a Dead Prez disciple. His verse is filled with social and political commentaries. I've heard of Locksmith, but haven't peeped any of his work yet. The Cali emcee spits with an evolved spoken word flow as he continues the theme of social commentary. And of course Stic and M-1 round up the politically charged set with their brand of intellectual wordsmithing (is that a word?). Overall it was great to see these emcees use such a public event to speak on something more substantive than whips, jewels and chicks. I have no shame in saying that I KNOW NOTHING JOHN SNOW when it came to about 3/5 of the cats in this cypher. Honestly this group only caught my eye off of the strength of Your Old Droog and Chris Rivers. But I was extremely surprised with the whole collective. Millyz starts the cypher off with some clever wordplay but takes a drastic turn and dedicates the rest of his verse to police brutality and racial tensions. Jaz follows up with a solid flow, and probably my favorite verse from the female rappers. Droog jumps in the cypher with his cool laid back cadence juxtaposed with tough metaphors and Brooklyn flow. John John Da Don takes the baton and holds him own while being put between the two strongest lyricists in the cypher. And as you know, you end the cypher with your strongest emcee. Chris Rivers proves just that as this young emcee takes over the track and flips his flow so many times it'll make your head spin. Man, I've been a fan of Peedi since the the early oughts. The Puerto Rican spitter stood out in the State Property click (besides Freeway of course) since his breakout track "One for Peedi Crakk". Neef and Sparks follow up with cyphers that compliment each other perfectly. You can tell this whole collective has been around each other for years. The cyphers play off of each like an actual single. Freeway was the first artist Beanie Sigel brought with him to Roc-A-Fella. Appearing on Jay Z's "1-800-Hustler" (off of The Dynasty: Roc La Familia), Freeway became the second in command in Beans' State Property family. So it makes sense that Freeway would end this State Property cypher. Now damn near 40, the Philly emcee hits you with a less aggressive cadence but proves that with age comes wisdom. And this is what we call making a smooth transition. The BET cyphers are known for having that "oh snap" moment. This year there were a few, but my favorite was seeing none other than State Property's capo, Beanie Sigel, casually stroll into the cypher after Freeway. Beans dropped so much knowledge and wisdom (callback to said smooth transition) that he took ALL these young social media rappers to school. Beans sprayed a buck shot towards all these dress wearing, skinny jean sagging, hair coloring, Instagram gangster rappers. Two years ago Beanie Sigel was the unintentional victim of a drive by shooting. During the complicated surgery to save his life, Beans lost a lung. All that background is to help you understand how the Broad Street Bully ended the cypher with the HARDEST bars of the night: "Its the realest, the bully, here I come/ The cypher I just murdered them with one lung". 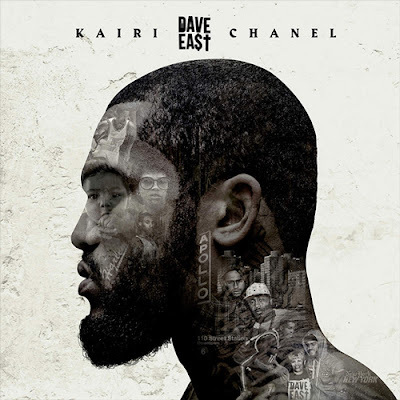 I'd also recommend peeping the set with Dave East because the kid went HARD. But he was surrounded by a bunch of simple bars..so..yeah. East should have def been the last to spit. Especially over Young M.A., but I did see an article title saying she was mad because her set was cut (don't know if that woulda helped). There was also a real cool Bell Biv DeVoe reunion with Michael Bivins and Ronnie DeVoe jumping on the mic. But again, other two youngins in that cypher were sub par. And the cypher with Consequence and Jidenna was also dope. Unfortunately the other rappers where spitting to some kind of tempo, just not to the beat they were given. But Jidenna may surprise those who just know him as the "Classic Man". But if you've seen him on Luke Cage or peeped his other work, you know this is a multi-talented dude. One of my Maryland boys has been mentioning Eze Jackson to me for quite some time now. But like the BITM crew talked about in our podcasts, there is just SO much music being cranked out there now that I haven't had time to peep dude yet. But when said boy mentioned his new single was called Un-Apologetically Black, I knew I had to make some time to give it a spin. The current state of social unrest in our nation requires people with influence to voice their concerns and champion change. Of course this should be spearheaded by our government, but we know how that plays out. While it is not in an entertainers job description to speak on such matters (it is not something we are used to, at least not since the Civil Rights era), we have seen a handful of public figures talk and walk for their beliefs. Athletes like Kaepernick or musicians like Common or T.I. have used their platforms to bring this social injustice to the forefront. Kaepernick's now famous kneel has sparked conversations and birthed a slew of public protests from other NFL players. Common and T.I. have taken to the booth to use their gift to speak on the subject of police accountability in regards to the rampant killings of unarmed men of color. Baltimore native Ezekiel Jackson provides another point of view of this terrifying new reality. Now in his mid 30s, this indie emcee is well aware of who he is in the rap arena. Eze is a new breed of the socially conscience emcee, and he uses his intellect to address the ever changing social landscape. 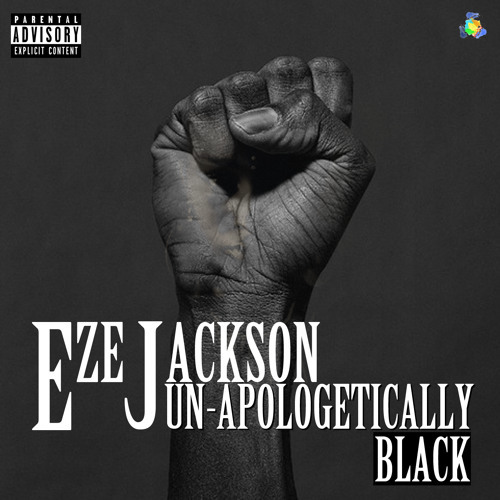 Un-Apologetically Black is a complex song that takes on the complex issues facing our country today. In two verses Eze touches on: guns, Donald Trump, voters, false minority stereotypes, civil rights, Malcolm X, jazz, slavery, soul food, our embarrassingly sub par public schools system, Tupac, self hate, skin bleaching, privilege, police brutality, Fox News, street violence and single parent homes (and I'm sure a few other themes I might have missed). While that might seem like a lot to tackle in a single track, it is actually a perfect microcosm to the current issue. There is no simple solution. Police brutality has been around longer than the invention of the camera phone. Distrust and fear of law enforcement is not new to people of color. Stop and frisk was not invented by Giuliani. Racist people were around before social media. Even if every cop that killed an unarmed person faced some sort of consequence, we still would not solve the root of the problem. Like Eze raps, it starts with kids going to schools with no heat and old books, it continues with the constant barrage of fear mongering and false stereotypes promoted by "news" stations, and of course culminates with who we choose as our government leaders. 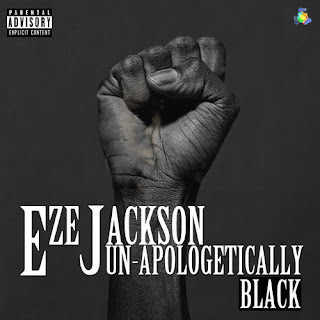 Eze Jackson would be disingenuous if he would finish the track with a solution. There are singular steps that should be taken, yes. Like, if possible, police should stop shooting to kill when faced with an unarmed person. Instead Eze takes the approach of a good teacher, providing all the information and letting the students come the conclusion on there own. Of course Eze has his perspective, but it comes from a genuine place. If people didn't know about Baltimore before the 2015 riots, they know now. Like most low income and predominantly black/Hispanic neighborhoods, many areas in Maryland have a strained police-citizen relationship. Eze can speak on this from his perspective. And it is his perspective that has the most power. Many people that "don't get it" need to hear as many perspectives as they can. If after that they still want to hold up an All Lives Matter sign, then there is nothing else you can do. Peep the deep track Un-Apologetically Black below.